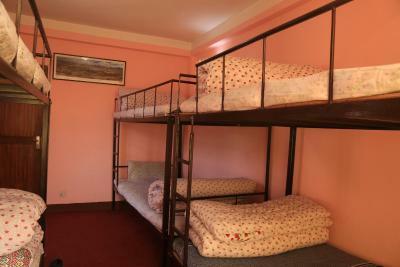 Lock in a great price for Dormitory Nepal – rated 9.1 by recent guests! I appreciate the helpfulness of the lady co-owner. She offered to find a hot water immersion heater for me. This is the place to be. The staff were great and very helpful. 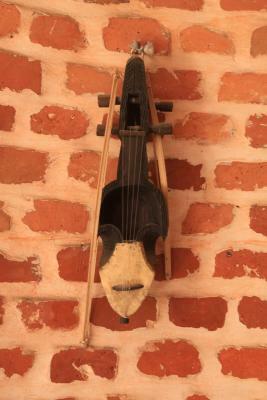 The location was around 5km from Thamel, wich is great ! 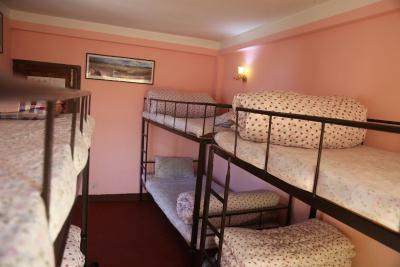 Prices are very honest and you can book trekking as well for a fair price. 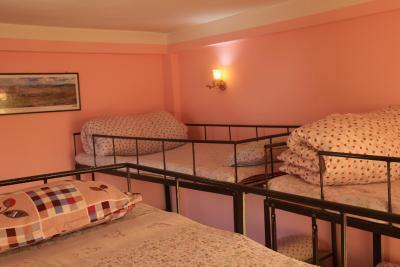 On top of the A1 service, wifi, cheap and clean room, 5 to 10% of the money they make out of your booking goes to an orphanage !! We highly recommend it. The owner Govina is very nice and helped me organise excursions everyday. Always checking I was comfortable and slept ok. Very nice and genuine man who can help you organise trips etc... from here. 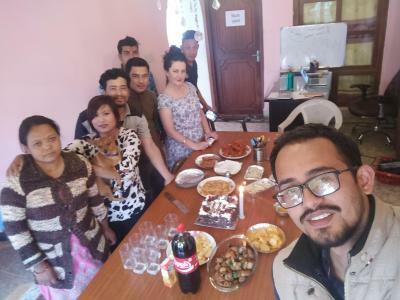 Staff is very kind and go out of their way to help you figure out what gear you need, where you can get food and to have a rough trekking plan. The showers provide the hottest water I had in my one month in Nepal! Big tasty breakfast of pancakes, banana, omelette, coffee or tea, and juice for $2 USD. 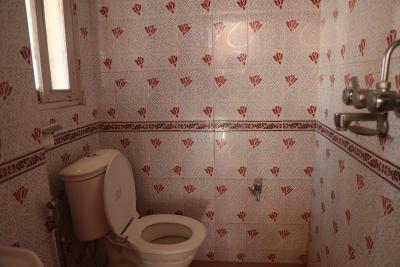 Located in a calm area. 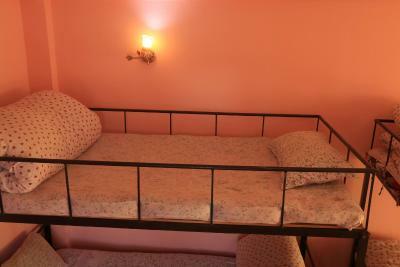 Probably better for staying if you are already in a group and looking to relax after trekking. 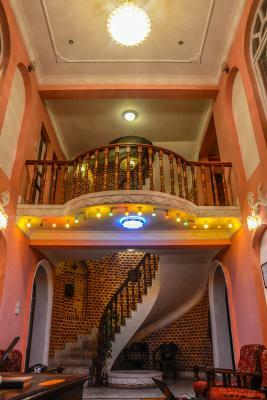 The people that work in the hostel are really amazing! Extremely friendly people willing to help out with every question you have, absolutely the best you can get! 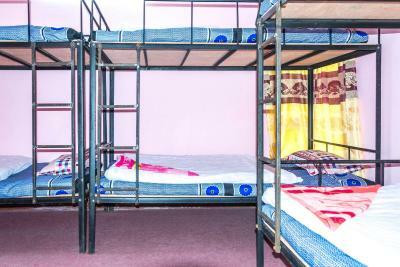 Guests at this Colonial-inspired Kathmandu Dormitory Nepal hostel can enjoy unlimited free WiFi, a 24-hour reception, and a garden. 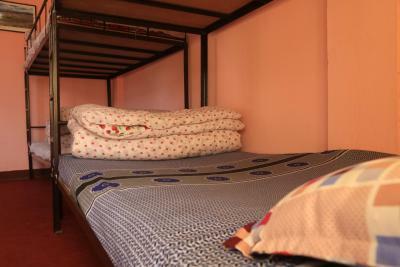 Bunk beds and a shared bathroom are offered in all mixed dormitory rooms. 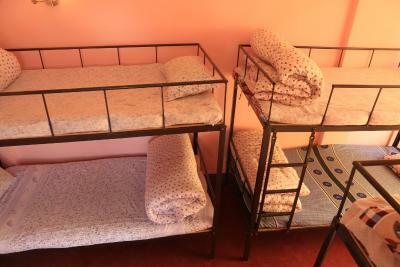 Dormitory Nepal provides pillows, towels, and bed linen as well. Free private parking is provided on site. 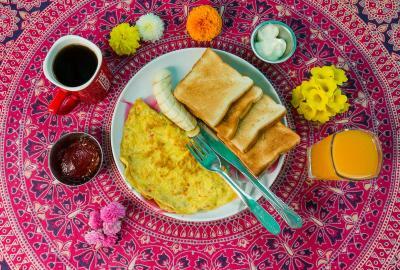 Asian breakfast can be arranged for guests. Bicycle rental, car hire, and an airport transfer services are available for an additional fee. Historic Kathmandu Durbar Square is 3.3 mi away. 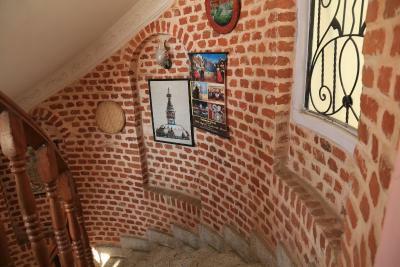 This hostel is also 1.7 mi from the Maitidevi Micro Bus Station and 8 minutes’ by car from Shere Pashupatinath Temple.Tribhuvan International Airport is 3.1 mi away. 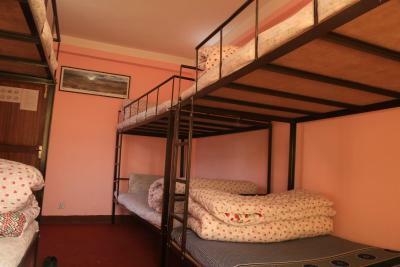 When would you like to stay at Dormitory Nepal? 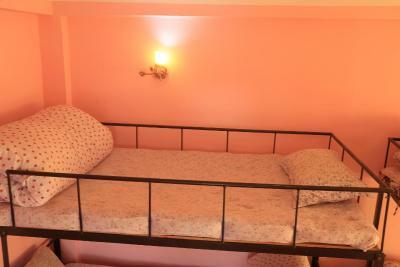 We are located 4 kilometers away from Thamel (we are not in the city center) , 5 kilometers away from Airport. 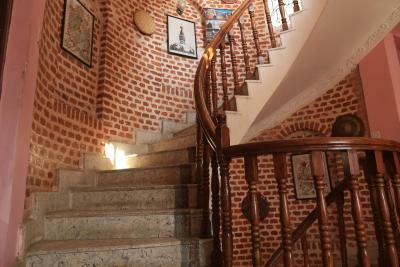 We are out of hustle and bustle yet in the Kathmandu city and in one of the poshest locations. 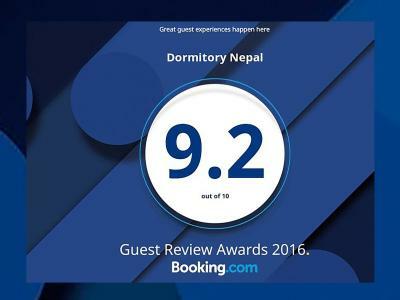 Since dormitory Nepal was initiated with a sole purpose to have close interaction with travellers from all over the world, we thought of giving travellers a unique atmosphere. 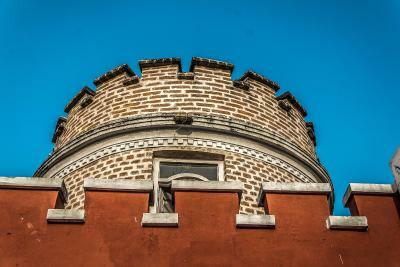 First thing the building is very unique and it resembles to that of castles of ancient Europe. 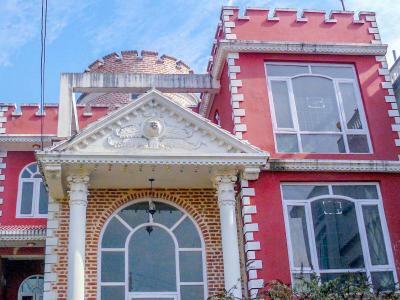 The story behind the building is that the house belonged to the descendant of Rana dynasty in Nepal. He built the house according to the palace he was raised in. We have a huge lawn and a beautiful garden. The garden is well maintained and has seasonal flowers and one avocado tree. The entire facility is siren protected and there is plenty of place to roam around. There are 2 huge balcony, 1 small balcony and one huge terrace. 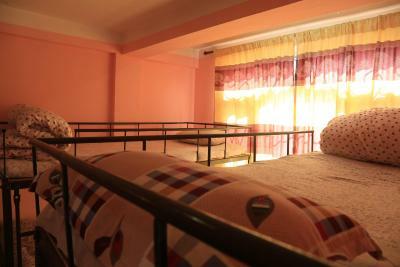 Our dorm has 6 rooms, a really nice and cute kitchen and 4 restrooms. We have chairs and table setup on the rooftop where our guests usually enjoy chilled beer and have relaxed conversations. 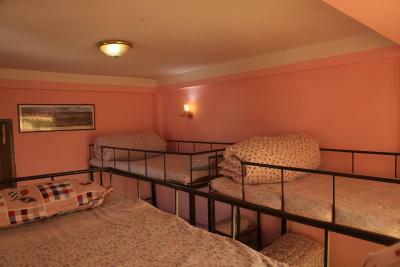 The facility has 24 hour power backup and each room has a reading light 24/7. 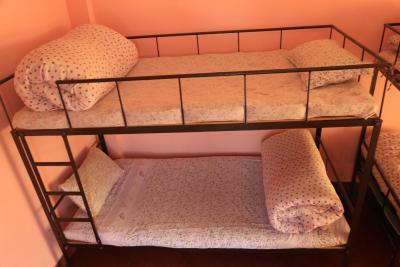 House Rules Dormitory Nepal takes special requests – add in the next step! 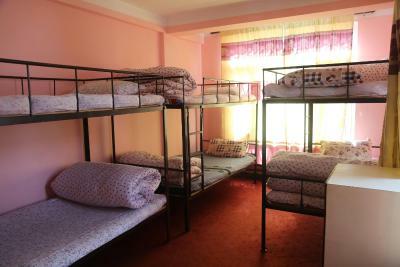 Dormitory Nepal accepts these cards and reserves the right to temporarily hold an amount prior to arrival. 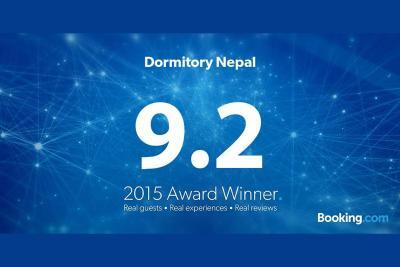 Please inform Dormitory Nepal of your expected arrival time in advance. You can use the Special Requests box when booking, or contact the property directly using the contact details in your confirmation. 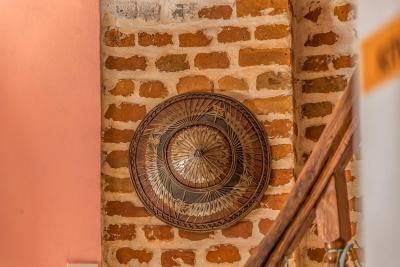 Since it's away from the main tourist area it is very possible that you will be staying alone here or with one or two other guests so it's hard to socialize. 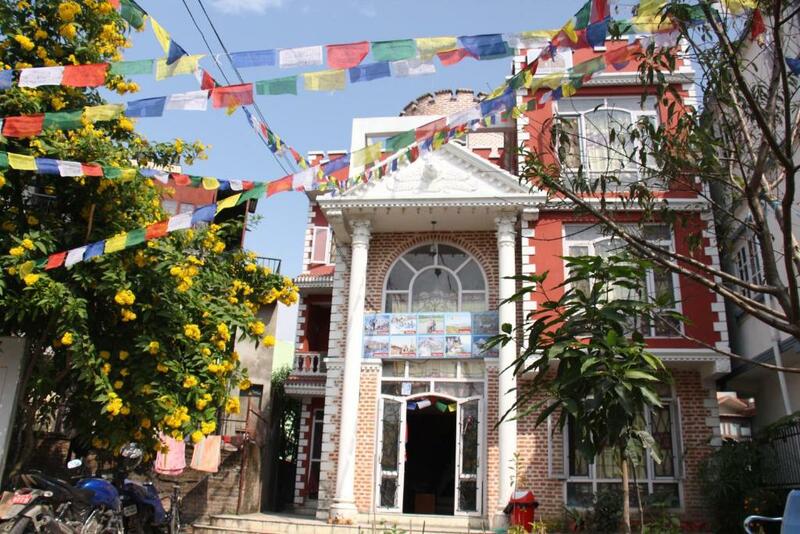 I was hoping to find a trekking partner in Kathmandu but it was not possible here and it was hard to meet other travelers at this hostel. 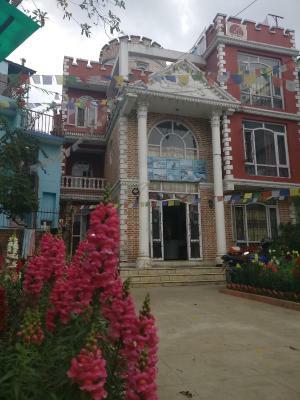 Beware that the trekking packages they sell through BudgetTrekking.com (which is run out of this hostel) are very overpriced and I paid 30-50% more than trekkers I met on the exact same route who had the same inclusions in their packages, with a guide who wasn't very attentive on top of that. The beds are not very comfy but they are okay if you fold the quilt in half and sandwich yourself between it so you are laying on top of half as a cushion and half as a blanket. Bring earplugs to muffle the roosters if you are a light sleeper! The best hostel in Kathmandu! Incredible value for the money. It is run by 5 friends and they are really great. They offer a great breakfast for only 200-300 rupees. They are extremely helpful and will drop anything in a heartbeat to help their guests. 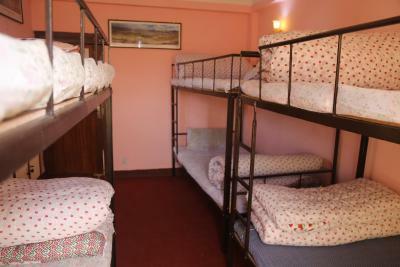 The hostel is VERY clean, they have western toilets and hot showers. The wifi works great and they have backup networks if needed. The building is very cool, with rooftop access for watching the sunsets. What I loved most was the location, and I found Thamel too busy and loud. It is only 10 minutes to Thamel by bus, which was very cheap (only 10 rupee) and easy to find. The neighbourhood is very quiet and safe, as it is next to the police station. 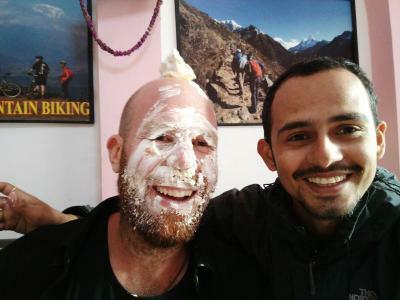 You will experience the real Nepal by meeting the locals and eating in small family run restaurants. It is close to many supermarkets as well as temples. They offer an airport pickup, which I highly recommend as it will most likely be cheaper and more efficient than local taxi. 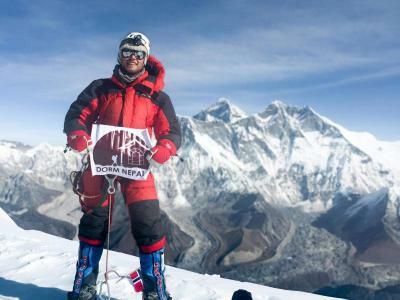 They also have a trekking company (Budget Trekking) which I booked a trek with and it was amazing, highly recommend. 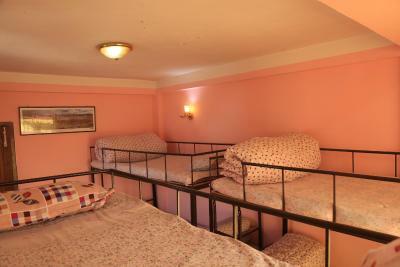 I only planned to stay for 1 night but ended up staying for over a week. They treat you like family, and I will miss it greatly. The only thing that takes some getting used to is the thin matras. And the location could be difficult, but they help you out with the local bus and that's a real great experience. That I can't stay with these legends longer?! Wifi didn't really work in the bedroom, bathroom wasn't cleaned properly - there was a plaster left by the shower for 2 days. Bit far from things - bus is needed to get to Thamel. 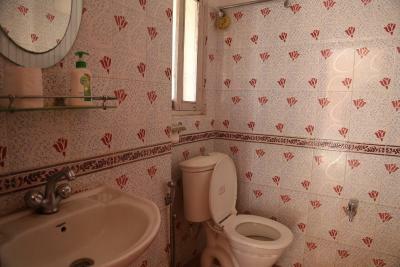 Very friendly, downstairs very clean. Good if you want to be out of town. Top Budget - Accomondation it is exactly what it is supposed to be and even better. Location was a little far from the popular tourist area of Thamel, but it was only a short taxi ride so not a major issue for us. Dorm Hostel was an excellent decision! Since I prefer to stay in a relax environment, the accommodation is located in a quiet neighborhood, suurounded with many small shops. The facilities are furnished to make you feel like at home and with extra help from the stuff, who went beyond their service. Dhanyabad, Doris!